Spaghetti carbonara at Roscioli. All photos by Katie Parla. Katie Parla grew up in New Jersey but writes about food and travel from her new hometown, Rome. We love her site, her Tweets, and her taste, so of course we wanted to know more about what her Eternal City looks like. 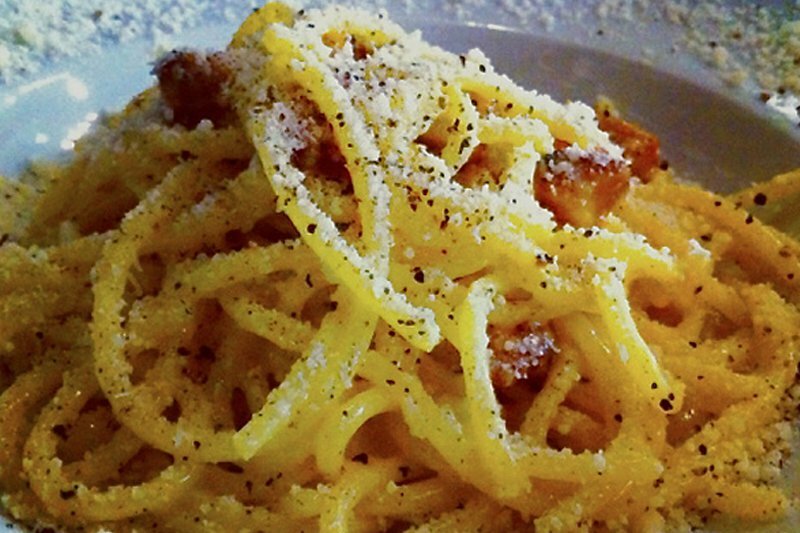 If this leaves you hungry for more (as it did us), download her new app, Rome for Foodies. Local coffee shop/breakfast spot: Caffe Ivanhoe (aka the Illy Café) on Via Urbana in Monti is my local. 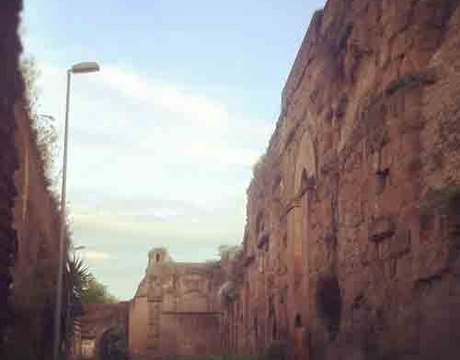 Where you go when you need inspiration: I take a long run through the city, past the Coliseum, out along the Via Appia Antica, through Caffarella Park. Or I run the city walls. Best spot for people-watching: The pedestrian island in Pigneto. There is always something interesting and/or sketchy going down. Your office is located: In my apartment. More specifically, on my couch. I have a big wooden desk that I should use, but inevitably I end up writing reclined on the couch. This is not sustainable long-term, if my lower back pain is any sign. You wish your office was located: I'd settle for working at my desk, but wouldn't mind having an office in a big palazzo in the center of Rome. I think I would work well beneath frescoes. Your preferred mode of travel around the city: I walk or cycle. I'm obsessed with my bike. The route for your favorite city joy ride? I am very attracted to the neighborhoods of eastern Rome, and my favorite way to see the Tuscolana, Prenestino, and Casilina neighborhoods is by bike on a Sunday around 3 p.m. when everyone is either napping post-lasagna lunch or in front of the TV watching soccer. Where do you go when you want to be in the middle of it all? 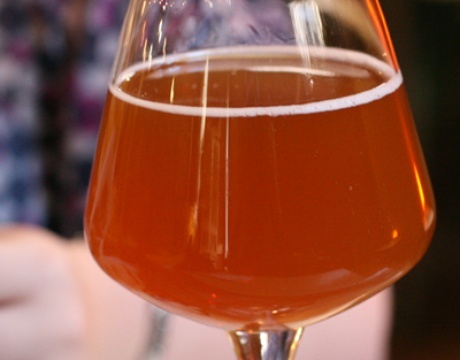 I try to avoid crowds, though I will go out some weekends to Open Baladin and Ma Che Siete Venuti a Fa', the best craft beer pubs in the center. Where do you go when you need an escape? I head to the Caffarella Park, a wedge of green space filled with pastures, grottoes, ruins, and grazing sheep. It's a ten-minute bike ride from the Coliseum, but feels a million miles away. Most underrated thing in your city: Every neighborhood outside the center. Most overrated thing in your city: The Spanish Steps, which are officially obsolete due to the presence of a nearby elevator. I find them utterly pointless. I could also do without the Trevi Fountain. Best place for an afternoon coffee: Sciascia on via Fabio Massimo in Prati. It is totally old-school and filled with regulars. They sell all sorts of random cookies, too. It's a special place. Favorite local shops: I love DOL for guanciale and local cheeses, Domus Birrae for craft beer, Enoteca Trucchi for natural wines, Spazio Artigiano for ceramics, and Nicotra di San Giacomo for jewelry. You dream about your meal at: Glass. Chef Cristina Bowerman's ravioli filled with 60-month aged parmigiano-reggiano haunt my dreams. They are some of the best things you will ever eat. Favorite local monument: The Baths of Caracalla, a third-century bathing complex which strangely/thankfully sees very few visitors. Villa Farnesina and its Raphael frescoes are also amazing and overlooked. The best thing about your neighborhood, Monti, is the abundance of great wine bars like La Barrique and Al Vino Al Vino. Best book or movie based in your fair city: I'll sound like such a dork for saying this. Krautheimer's Rome: Profile of a City, 312-1308. What can I say? I love the Middle Ages. Best way to pass an evening: Eating thin-crust Roman pizza at Da Remo or Neapolitan style at Sforno, in both cases preceded by fried things and accompanied with cold beer. No trip to Rome is complete without: Getting ripped off at least once (I'm looking at you, Roman cab drivers), eating a plate of carbonara (preferably at Roscioli), and having a gelato (Il Gelato di Claudio Torce', Gori, Fatamorgana, and Neve di Latte are the best). Check out her website, romeforfoodies.com, and download the gorgeous companion app, Katie Parla's Rome for Foodies. Photos, from top: Via del Mandrione, a beer at Open Baladin, Neve di Latte gelato. Katie is a Rome-based food and travel writer. 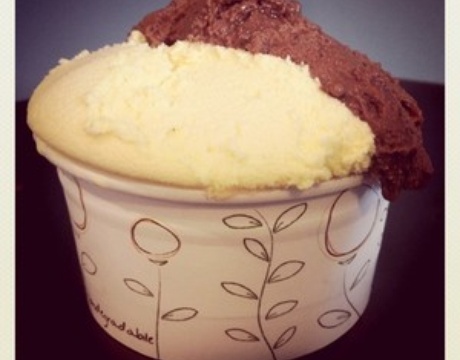 You can follow her on Twitter at @katieparla and download her Rome for Foodies app. She travels compulsively in spite of the fact that Fiumicino Airport is a national calamity.